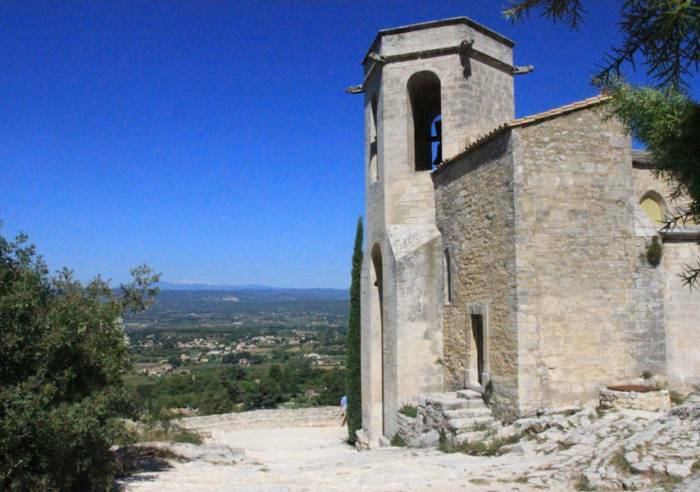 A perched village in the Luberon that absolutely must be seen. The village is not accessible by car, but next to old gardened terraces a car park has been built and there is also a beautiful landscaped garden. 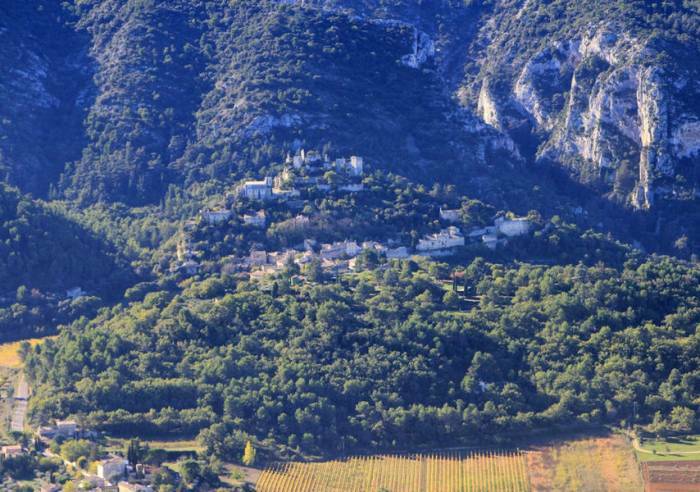 Growing here are 80 rustic varieties of Luberon herbaceous plants, shrubs and trees. Oppède-le-Vieux awaits you for a journey back in time! The medieval and Renaissance houses, the 12th-century church, the ruins of the medieval castle, the wash houses and chapels of Saint-Laurent and Saint-Antonin create a timeless atmosphere.Those who climb the little cobblestone street up to the top are rewarded with a 360° panorama.Cycling and walking routes go through the village, where it is nice to stop in order to quench your thirst in the square. 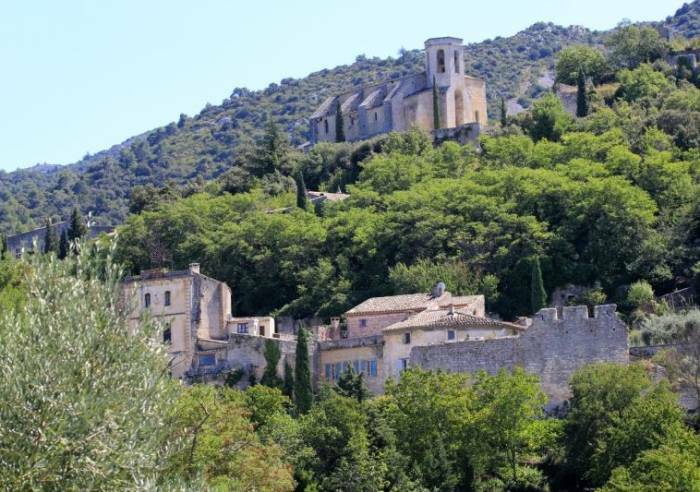 Every summer, the artist Michel Leeb organises the Oppède festival here.TO SEE: the Notre-Dame de Dolidon (or d'Alidon) church, with its very high position; the ruins (tower and walls) of medieval castles and vestiges of ancient one-storey houses. You can see the remains of the fortifications by walking through the old village. The Saint Augustin mill opens its doors to lovers of olive oil.Oppède-le-Vieux, medieval and Renaissance homes, 12th c. church, remains of the medieval castle, Saint-Laurent and St. Antonin Chapels, all of these places create a timeless atmosphere.Visitors who take the time to walk the old cobblestone path to the very top of the village are rewarded by a fabulous view. The lower village is a favourite stopping point for hikers and bikers. each summer, french artist Michel Leeb organises a festival in Oppede. Do not miss: the church Notre-Dame de Dolidon (or Notre-Dame d'Alidon) at the very top of the old village. The ruins of the tower and walls of the medieval castle, and vestiges of old shops. See the remains of the fortifications as you walk in the old village. Olive oil lovers must visit Moulin Saint Augustin. , Parking, Pets welcome, Restaurant.